My name is Iva and I am a PhD student from Cardiff Met. My research focuses on offenders’ rehabilitation. In particular I am interested in offenders’ motivation to engage in custodial activities such as education classes. 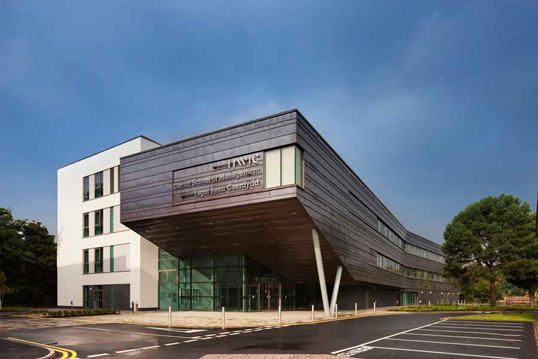 I was very pleased to learn that the conference this year was to be held at Cardiff Met, especially as the dissemination of research findings is important as it contributes to knowledge and treatment in forensic psychology. What is even more exciting is that PsyPAG concentrates a wide array of research, presented by those who are developing new ideas. PsyPAG is a distinctive conference as it allows post-grad students to share their research at any point of their PhD, and I love conferences like PsyPAG where so much can be learned from colleagues with the same interest but also from others. I have learned loads from this year’s PsyPAG, especially health psychology. The health psychology presentations helped me widen my horizons and think critically about my research. For instance, I was able to relate some of the issues of effective treatment of patients to offenders’ interventions based in the community. It was not all hard work however! There were two social events. The first was a BBQ on the River Taff at the local rowing club. We were able to enjoy a summer evening eating by the side of the river. Great fun! The other social event was the conference dinner at Cardiff City Hall. What an impressive building! There was only one complaint: not enough sauce on the sticky toffee pudding! Both the BBQ and the dinner were great opportunities to chat to different new researchers from universities across the UK. Overall, I cannot recommend the PsyPAG conference enough. It is a unique opportunity for every researcher, including Master’s students and PhD students, to present their research at whatever stage they had reached. The PsyPAG conference at Cardiff Met was thought-provoking, educational, interesting, with lots of stimulating discussion, and with lots of fun during the social events. It must have been a huge effort to organise, so I’d like to thank everyone for making it happen. If you are interested in finding out more about PsyPAG or submitting an abstract for next year’s PsyPAG conference in Glasgow please consult the PsyPAG website: http://www.psypag.co.uk/. The Royal Welsh Show is the ‘Glastonbury’ of events for anyone involved in farming or horticulture in Wales! This year over 237,000 people attended the show ground at Llanelwedd, Builth Wells – including two of our lecturing staff, Jenny Mercer and Debbie Clayton. 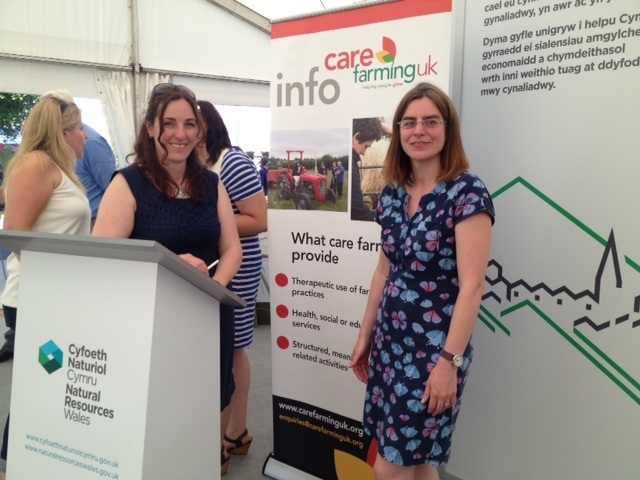 Debbie and Jenny were invited to take part in a talk about care farming on the Natural Resources Wales stand along with Lorraine Brown the current chairperson of Care Farming UK. The purpose of the talk was to introduce the concept of care farming, give examples of how it used in Wales and illustrate the benefits of such an approach. Care farming is defined as: the therapeutic use of farming practices, which provide health, social or educational care services for one or a range of vulnerable groups of people. Jenny and Debbie have been involved in research in this area for a few years, and discussed their findings about the functions and benefits of volunteering in care farm settings and a project with young offenders utilising an animal programme. Both studies showed positive outcomes for health and wellbeing, and make an important contribution to the evidence base for such activities which are also referred to as ‘green care’.